We understand computer hacking laws. Over the past 20 years, our federal criminal defense lawyers have helped people charged with violating computer hacking laws in courts across the United States.With the increased use of computers and digital information across the world, our firm has seen the United States Department of Justice dramatically increase its investigation and prosecution of alleged violations of computer hacking laws. While there are a number of different federal criminal laws that may apply to allegations of computer hacking and cybercrime, most federal prosecutors focus on a few specific computer crime laws. The term “computer hacking” generally refers to the illegal use of a computer in an attempt to access another computer without authorization in order to commit fraud or cause harm. Most computer hacking charges are prosecuted under the Computer Fraud and Abuse Act (18 U.S.C. §1030). This law covers a variety of different types of computer crimes and has been used very aggressively by the government in recent years. The basic requirements for prosecution under this computer hacking law are that the computer is a “protected computer,” and that the individual charged accessed that computer “without authorization.” Due to recent amendments to this law, the government defines these terms very broadly. A “protected computer” is not just a computer that belongs to a government agency, it can include any computer that is connected to the internet. That would include a person’s computer provided by their employer, a computer at the public library, or other electronic devices that have internet access. Similarly, the definition of “without authorization” is very broad. A person who has authorization to use a certain computer may nonetheless be prosecuted under this law if the person’s use of the computer “exceeds authorization” or if the person uses the computer for some “improper purpose.” If a person is given access to a work computer for limited purposes, but then uses that computer to engage in activity that is not approved (fantasy football, for example), then that person can arguably be prosecuted under this law. In cases involving alleged violations of computer hacking laws, the government also prosecutes anyone who is attempting or conspiring to engage in any of this type of activity. The Computer Fraud and Abuse Act has a provision that specifically addresses attempt and conspiracy charges. Violations of the Computer Fraud and Abuse Act can be prosecuted as misdemeanors or felonies primarily depending on the motivation behind the computer misconduct. Accessing a computer and obtaining information for profit is generally prosecuted as a felony, as is any violation of this law that causes a loss in excess of $5,000. The specific penalties for violating the Computer Fraud and Abuse Act depend on the type of misconduct involved and the amount of harm that it causes. As with any other federal criminal prosecution, a person’s sentence will be determined primarily by the calculation of the Advisory Federal Sentencing Guidelines. In addition to the Computer Fraud and Abuse Act, there are a couple of other laws that deal with “computer hacking” offenses. The CAN-SPAM Act is intended to prosecute people who distribute large amounts of unsolicited commercial email (“spam”) (18 U.S.C. §1037). There are a variety of different civil and criminal penalties under this law, and the punishment usually depends on the amount of “spam” delivered or how it was used. Another law that is occasionally used in “computer hacking” cases is the protection against unlawful access to stored communications (18 U.S.C. §2701). This law punishes the use of a computer to access another person’s “electronic communication service” where the person has their email or voicemail stored. If the unauthorized access to a person’s voicemail or email is done for profit or financial gain, then it is a felony. The term “cyberstalking” generally refers to the use of a computer or other electronic device to threaten or harass another individual. Prosecutions of “cyberstalking” are dramatically increasing across the country as more and more people use electronic devices for everyday communication. “Cyberstalking” can include communications that are offensive or threaten someone with physical harm. When a computer is used to communicate threats involving sexual conduct, it is often referred to as “sextortion” and can be prosecuted under federal law. Repeated email or other electronic communications to harass another person can be considered “internet stalking” and also prosecuted under federal law. Prosecuting a case of “cyberstalking” will often involve one of several different federal laws. First, the person could be prosecuted under the Computer Fraud and Abuse Act by either threatening to damage another computer or threatening to reveal threatening confidential information. A person could also be prosecuted under the general federal extortion law (18 U.S.C. §875) if the “cyberstalking” involves threats to cause serious injury to another person. Federal law also specifically prohibits “stalking” as conduct that is meant to injure, harass or intimidate another person (18 U.S.C. §2261(A)). Some “cyberstalking” cases are prosecuted under a law designed to prohibit harassing or obscene phone calls or computer messages (47 U.S.C. §223). This law covers the use of text messages, chat rooms or any other interactive software or app that allows people to talk over the internet. “Computer hacking” and “cyberstalking” charges can result in serious federal prison time. 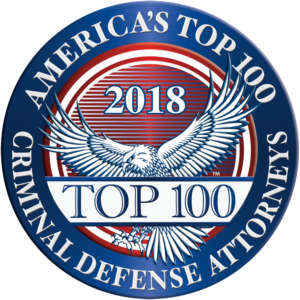 For the past two decades, our federal defense attorneys have successfully represented people charged in federal criminal cases across the United States and in several foreign countries. We are experienced in handling complex computer crimes and have access to top forensic experts and investigators who help us defend our clients in these complicated and often very serious cases. Most of our clients contact us as soon as they become aware that they may be the target of a cybercrime investigation. If our firm gets involved early in the case, we are often able to discuss our client’s defenses with the prosecutor prior to any formal criminal charges being filed. If there is a potential problem with a search warrant or other investigative tool used by the prosecution, we may be able to prevent the client from ever being prosecuted or arrested. Other clients charged with violations of computer hacking laws will usually contact us after they have been charged because they have been dissatisfied with the representation of their current lawyer. A lawyer who may be very qualified to represent someone in another case may be completely unprepared to handle a complex federal computer crime investigation or prosecution. Successfully representing someone charged in a computer hacking or “cyberstalking” case requires that the lawyer not only know federal criminal laws, but also the intricacies of computer networks and electronic communications. Our lawyers and associated experts have years of experience defending computer crime cases in federal courts across the country. If we are retained in a computer crime case, we can either assist the client’s current lawyer or take over the case completely, depending on what is best for the particular client. Our firm also helps people who may be experiencing the stress of a federal criminal case for the first time and would like a “second opinion” about the strength of the government’s case, or to get a second look at the computer evidence that the government is intending to use against the person. We can share our expertise in cybercrime investigations and prosecutions with the client and the client’s current lawyer and help them make what is often a life-changing decision about accepting a proposed plea agreement or taking the case to trial. In addition to helping our clients win favorable resolutions or “not guilty” verdicts in federal computer crime cases, we also assist clients in federal criminal appeals, sentencing hearings and grand jury investigations involving related allegations. If you or someone you know is currently facing “computer hacking” charges or allegations of “cyberstalking” or any type of federal computer crime, give us a call and we will let you know if we can help.